“The concept of Smart Cities is gaining momentum in the Garden Route. 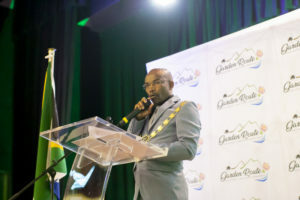 The forward-thinking municipalities of this region are working on defining what this means for them, and on how best to maximise the benefits of smart thinking to build a Smart Region.”- Councillor Memory Booysen, Garden Route District Municipality’s Executive Mayor. Clarifying the meaning of Smart Cities in the context of the Garden Route and agree on a joint understanding of a definition of a Smart Region. Sharing best practice in smart thinking from local and international experts and exploring how District collaboration can support integrative efforts towards the success of Smart City initiatives.